In today's Coast to Coast, Anna Maria Chávez makes a special trip to The White House, Girl Scouts in New Mexico develop financial skills, two entrepreneurial Girl Scouts are celebrated in Iowa and the life of a lifelong Girl Scout is remembered. Check it out! The White House reports that President Obama welcomed a group of accomplished and inspiring women to a reception in the East Room of the White House. The group, which included leaders like Girl Scouts' CEO Anna Maria Chávez, A&E Networks CEO Abbe Raven, Baltimore Mayor Stephanie Rawlings-Blake, astronaut Sunita Williams and WNBA star (and 3-time Olympic Gold Medalist) Tamika Catchings, joined the President, First Lady Michelle Obama and Dr. Jill Biden to celebrate the progress women make in this country each and every day. For her visit, Anna was joined at the White House by a remarkable woman from amongst Girl Scout ranks: Marjorie Crawford-Dunn, Assistant Director of Membership Credentials at GSUSA, whose passion for and dedication to the Movement spans 27 years. New Mexico's Farmington Daily Times reports that the annual Girl Scout Cookie Program is the largest "financial literacy" program run by females in the United States. For some of the girls, the cookie sales will be one of their first chances to really manage money. While the seniors have experience with money, the kindergartners are often just learning. California's Mercury News reports that the students at Saratoga's Sacred Heart School know a little more about recycling today than they did just a few weeks ago, thanks to a sixth-grade Girl Scout troop that organized a range of activities at the school to raise awareness and inform students about the importance of "going green." The scouts' "Green Week" initiative was part of their journey to "discover special skills and talents, connect with others and take action to make the world a better place." Iowa's Des Moines Register reports that ten-year-old Girl Scout Katelyn and her 7-year-old sister Laura are the baby-faced sales assassins of the $7 billion cookie industry. 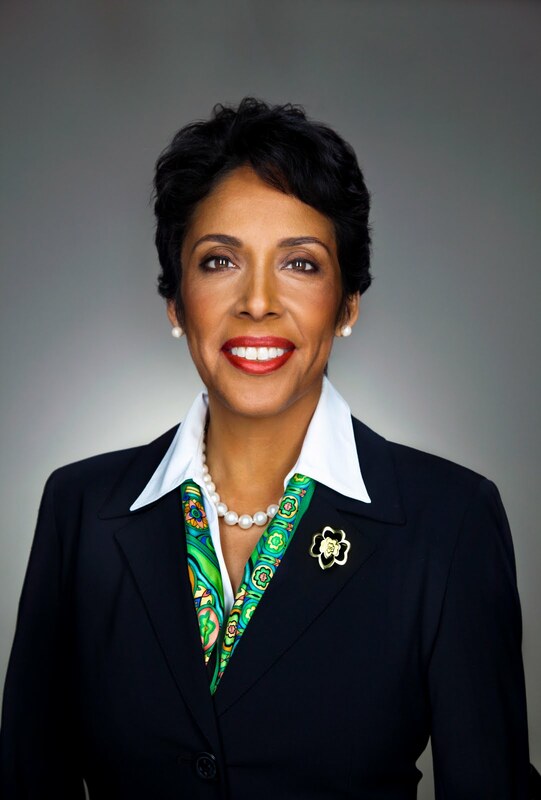 The Norwalk sisters and about 1.8 million of their fellow Girl Scouts dominate the cookie industry during the first quarter of each year, then completely disappear from it in March or April, in one of the business world’s most unusual seasonal events. They’re so effective that the Girl Scouts of the USA had five of the 10 best-selling cookies in the United States during the first three months of last year. The Norwalk sisters have sold more than 1,300 boxes so far this year — including six boxes they’ve eaten themselves. They sold 752 boxes during the first quarter of 2012. The LeFleurs work mostly door-to-door, with Mom in the background, and use their share of each $3.50 box sale to pay for Girl Scout summer camp. The story was also picked up by USA Today. Last but not least, The Record in New Jersey reports that Libbie Lindsay was 12 years old when she put on her first Girl Scout uniform. She treasured the long khaki jacket and coordinated ranger hat and kept them always. Miss Lindsay, a lifelong Lyndhurst resident and North Jersey's oldest Girl Scout, died Saturday at 100 years and 141 days. 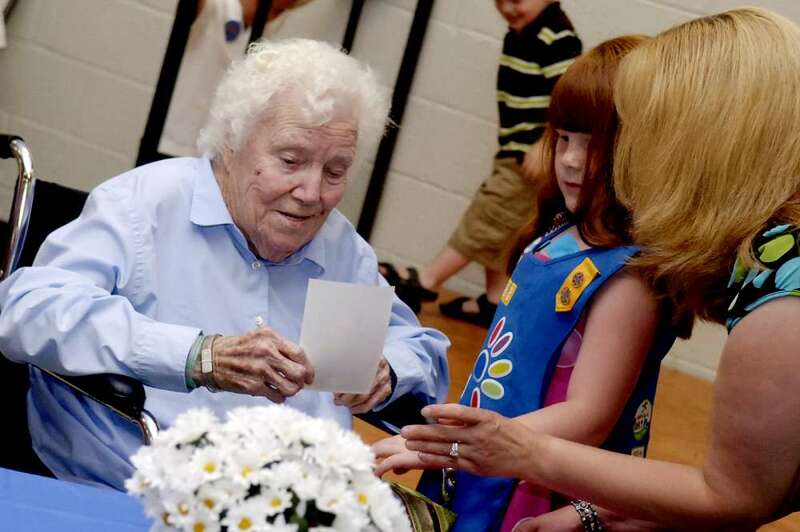 "Libbie was irreplaceable," said Rosemary Iannone, who had Miss Lindsay as a troop leader in the 1960s. "She was what Girl Scouts was all about."